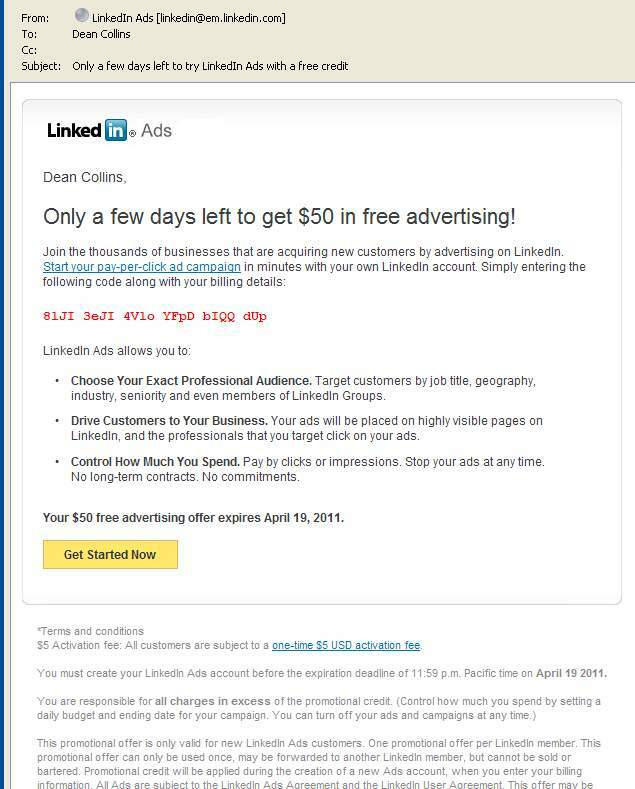 Got an email today where LinkedIn is allowing people to advertise on their site and offering new advertisers $50 coupon, fair enough i figured i'd setup a MLB campaign for our http://www.livebaseballchat.com/ site. 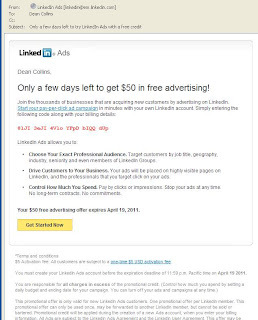 The reporting/ad uploading looks pretty rudimentary but if it gets results i guess it doesn't matter. 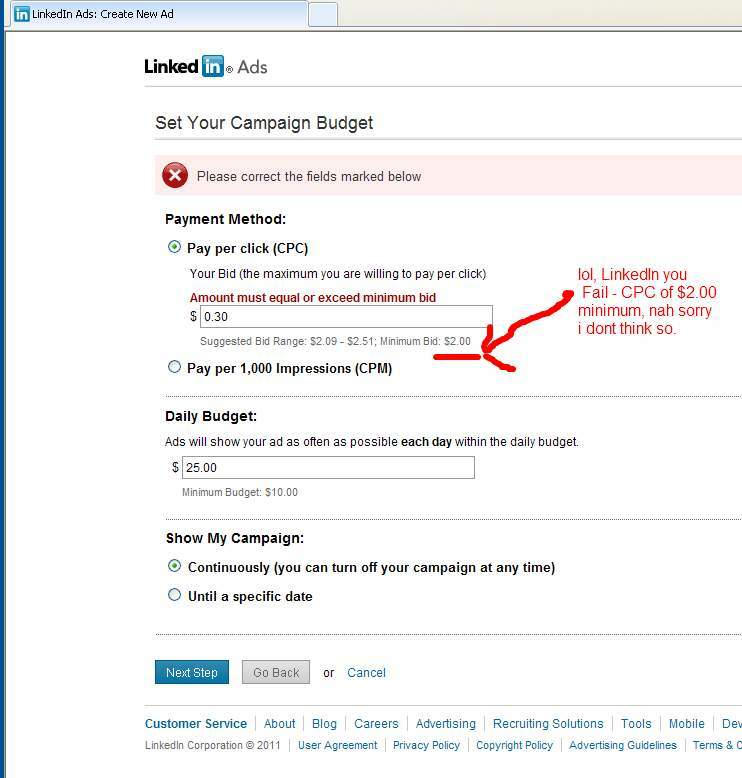 The unique about LinkedIn is you can serve ads to people in specific companies/industries which is neat (similar to the facebook demographics around location/age etc). 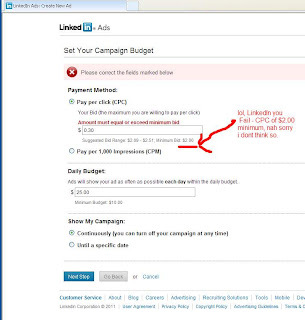 Ok here is the FAIL part, minimum bid per click $2.00 - rofl thanks LinkedIn but i'll pass. lol let me know how this works out for you.